offer zero down payments for new homes, Is this still the case? This plan was only available for a very short period of time, about 7 months and then the government removed it from options. 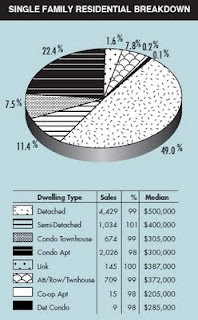 5% downpayment is the minimum now. Please let me know if you have any other questions or require further information. This is the latest news from TD Cnaada Trust, enjoy! 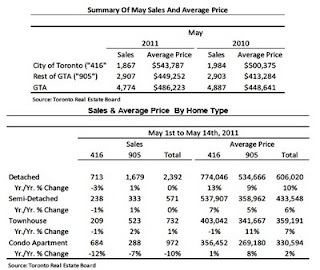 * After the mortgage rule changes that came into effect in March produced a "rush-to-buy" in the first quarter, existing home sales fell back 4.4% in April, to 36,564 units. 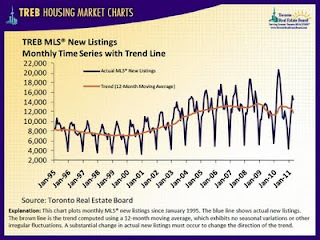 * Regionally the largest declines were seen in some of Canada's most active and expensive markets namely Toronto, Vancouver and the Fraser Valley - areas which had seen the biggest rush-to-buy ahead of the rule changes. 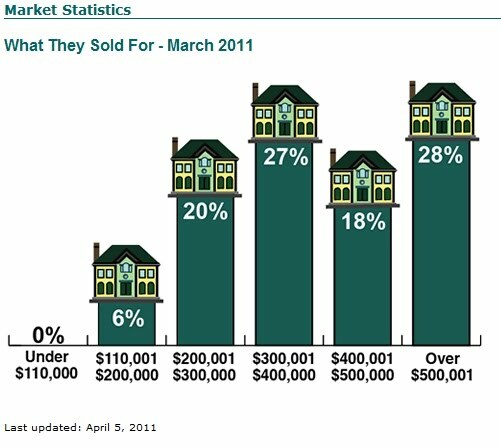 * However, sellers remained optimistic with new listings up 1.3% in April, after falling in March. 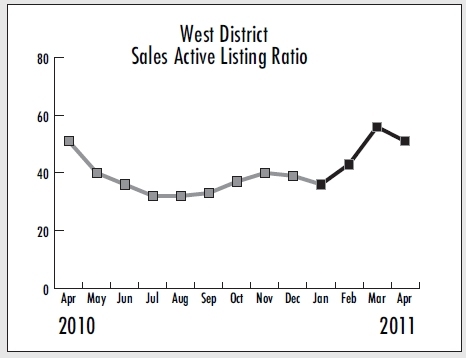 An increase in new listings combined with softer sales pushed the sales-to-new listings rate to 0.525, from 0.557 in March, well within the territory of a balanced market, defined as a ratio between 0.45-0.60. 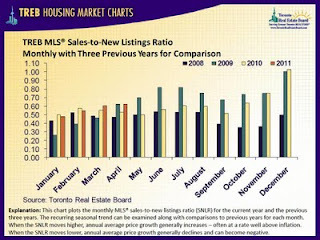 On the whole, the Canadian Real Estate Association (CREA) characterizes two-thirds of local markets in Canada as balanced in April, with only half of the remaining markets classified as a "sellers'" market. 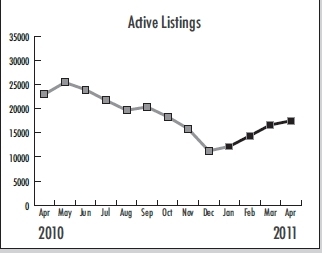 * Those "balanced" markets produced a 0.5% softening in home prices in April, although prices are still up 8.0% year-on-year. 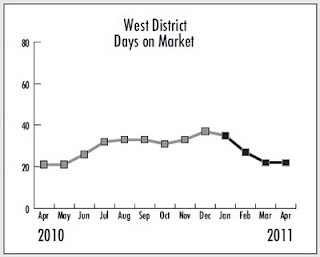 Lately a hot market in certain segments of Vancouver real estate has left an indelible mark on the price increase nationally national tally. 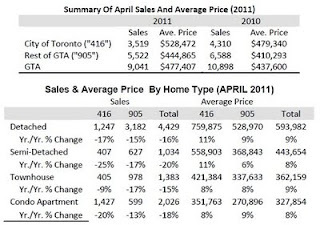 Excluding Greater Vancouver, Canadian home prices are up a more moderate 5.1% year-on-year. sets the stage for an expected softening. 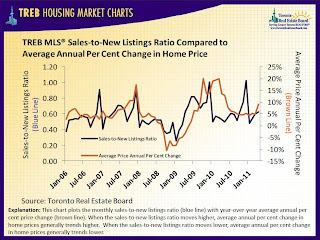 * That said, decent employment and income gains and a still-low interest rate environment continue to provide a relatively favourable backdrop for home sales, and so we expect Canada's housing market to land softly. 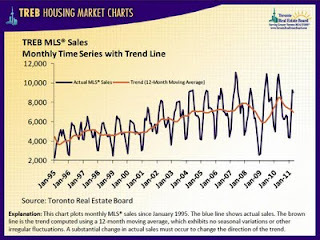 And after the rule-change inspired gyrations are in the rear-view mirror, we see sales gradually moderating as interest rates rise in the second half of this year. 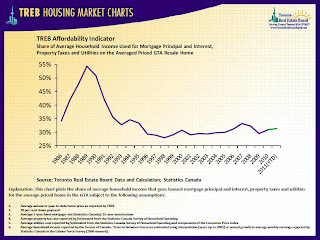 * For the most part, Canada's housing market remains in a well-balanced position with few price pressures on the horizon. 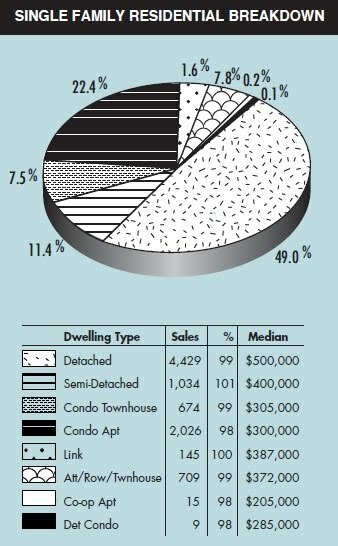 However, the national average price tally continues to be skewed by higher flying markets in Greater Vancouver and this area remains a key one to watch in the coming months. 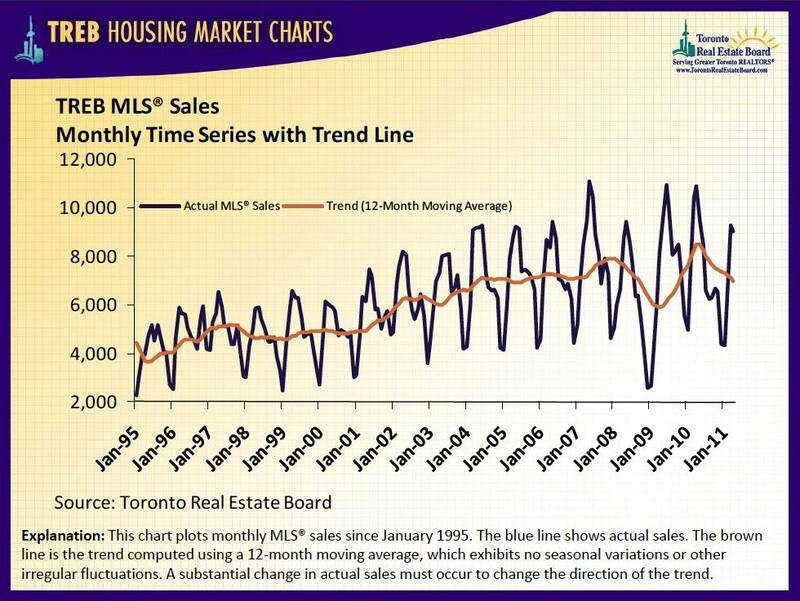 Explanation: This chart plots monthly MLS® average price since January 1995. 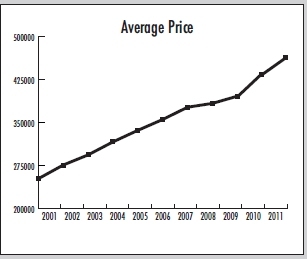 The blue line shows the actual average price. 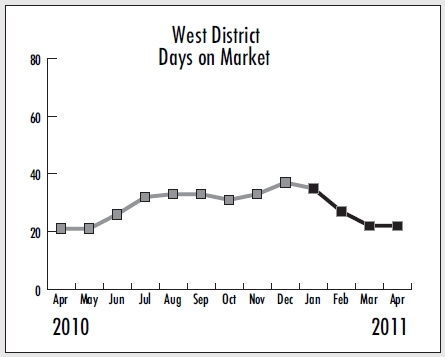 The brown line is the trend computed using a 12-month moving average, which exhibits no seasonal variations or other irregular fluctuations. 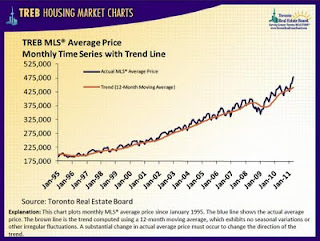 A substantial change in actual average price must occur to change the direction of the trend. prices are up about 8% for the same period! 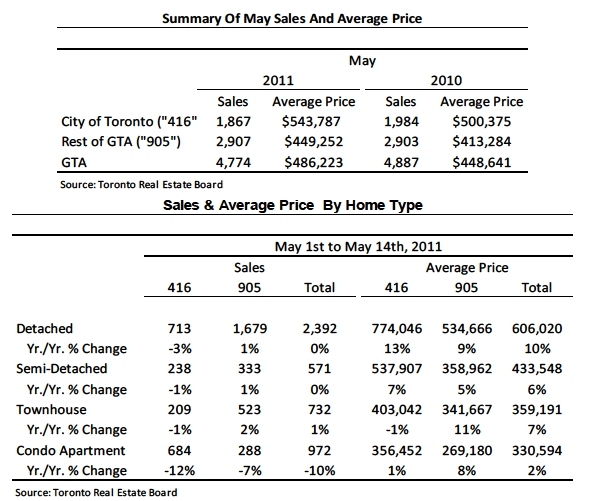 result was two per cent lower than the May 2010 figure of 4,887. Real Estate Board President Bill Johnston. 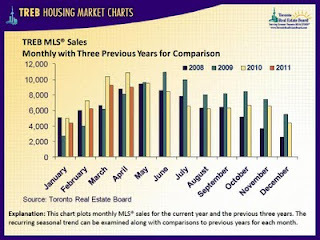 increase of more than eight per cent compared to the same period in 2010.
available for sale has been down substantially in comparison to 2010. 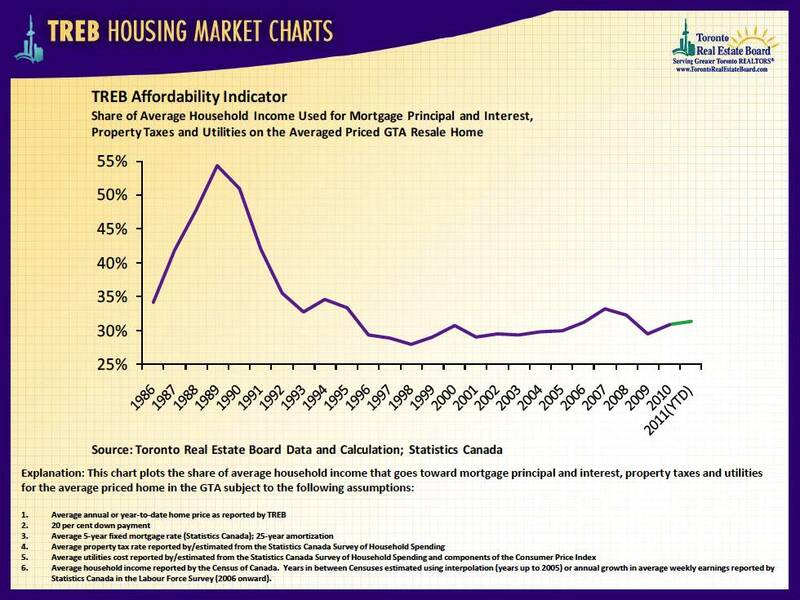 Short or Long Term Mortgage - What's best for you? Should you go short or long term on your mortgage? 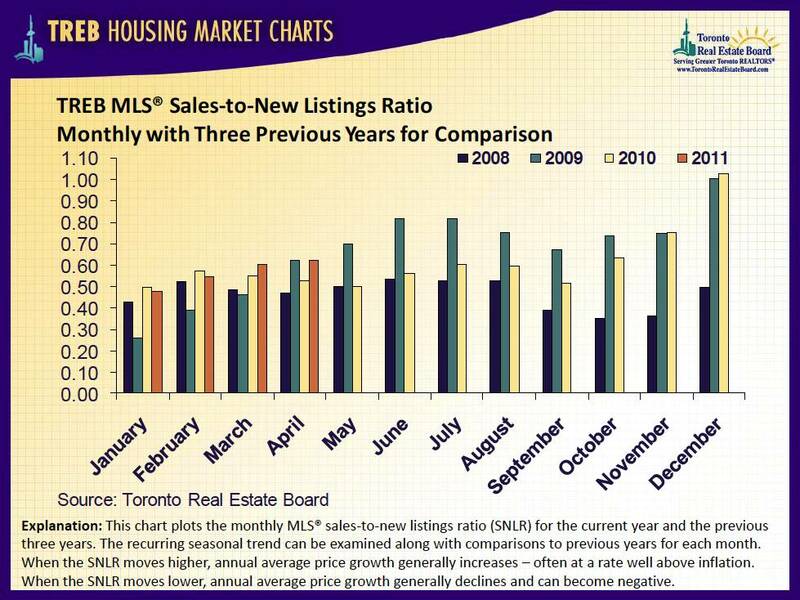 Explanation: This chart plots the monthly MLS® sales-to-new listings ratio (SNLR) for the current year and the previous three years. 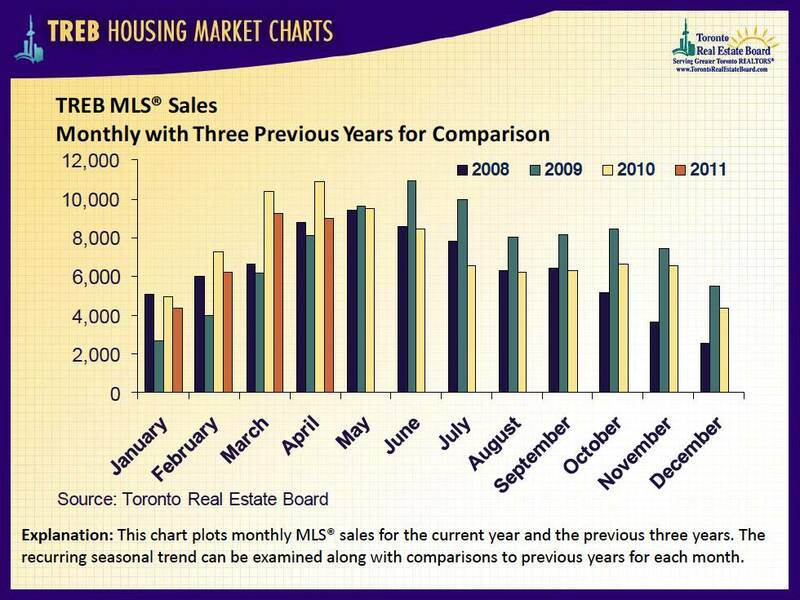 The recurring seasonal trend can be examined along with comparisons to previous years for each month. 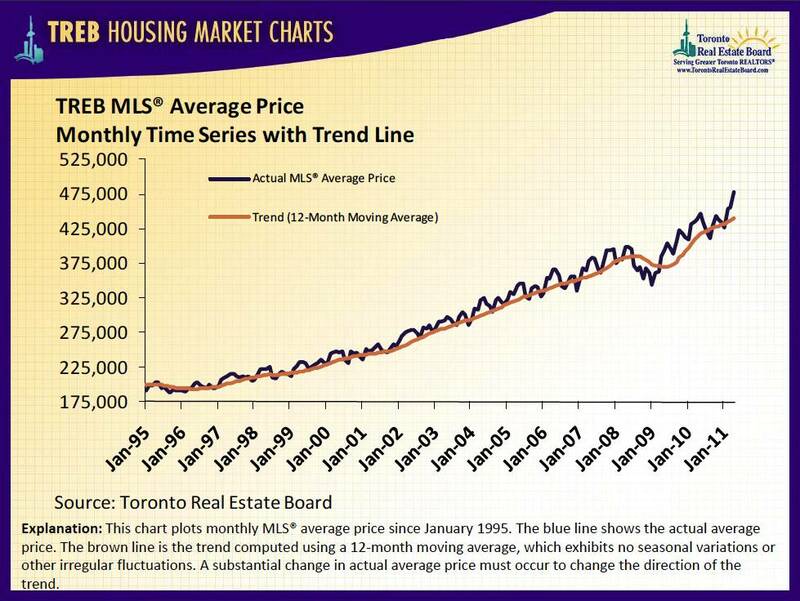 When the SNLR moves higher, annual average price growth generally increases –often at a rate well above inflation. When the SNLR moves lower, annual average price growth generally declines and can become negative. 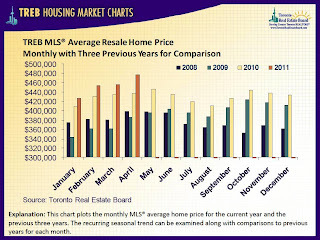 Explanation: This chart plots the monthly MLS® average home price for the current year and the previous three years. 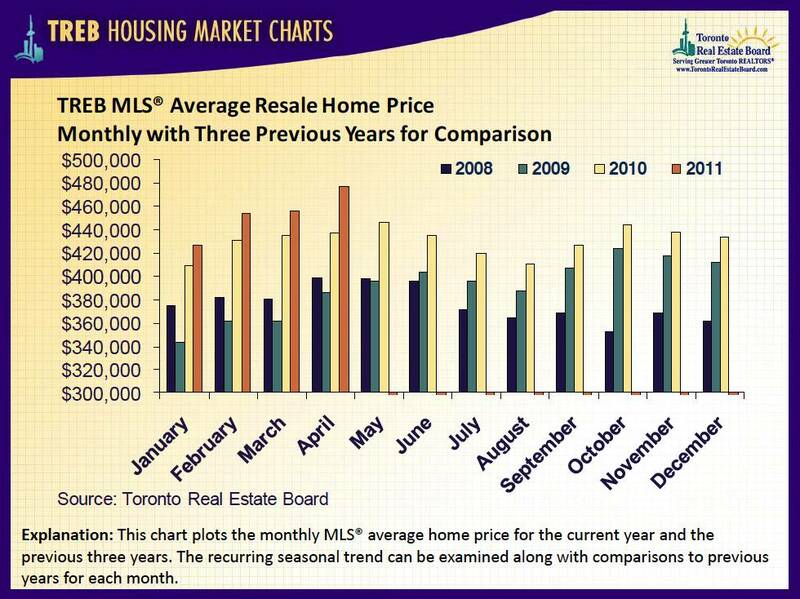 The recurring seasonal trend can be examined along with comparisons to previous years for each month. 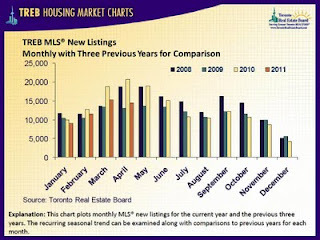 Explanation: This chart plots monthly MLS® new listings for the current year and the previous three years. 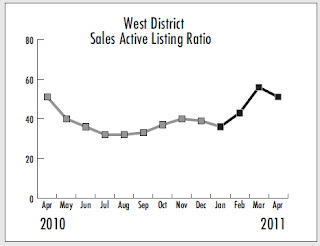 The recurring seasonal trend can be examined along with comparisons to previous years for each month. banks and the rate that is obtainable from one lender I deal with. with comparisons to previous years for each month. 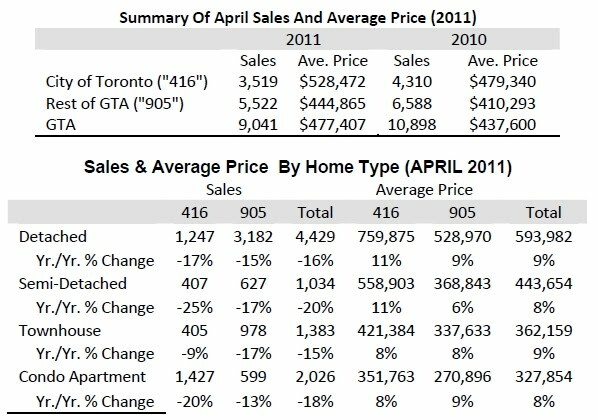 home sales through the TorontoMLS(r) system in April 2011.
average April sales level reported over the previous five years. 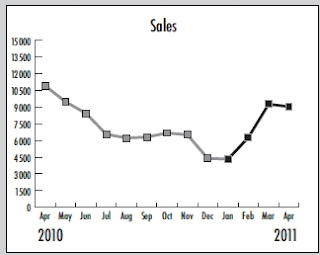 the first four months of 2011. "The number of listings has been below expectations so far this year. 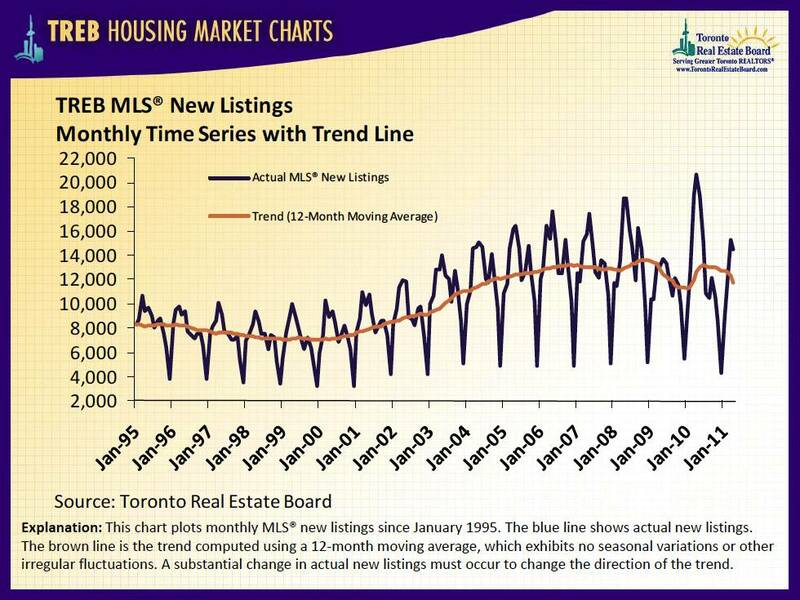 more listings and more balanced market conditions." Let's hope this is the case!